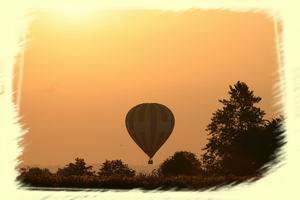 A flight in a hot air balloon is a unique experience, realise your balloon ride during your stay in Vendée.Come along with us and fly over Vendée countryside. The entire Skysurfer hot air ballooning experience is approximately four hours long. Flights are approximately of one hour duration. Due to the wind speed and direction, the amount of time aloft in a hot air balloon can never be guaranteed.